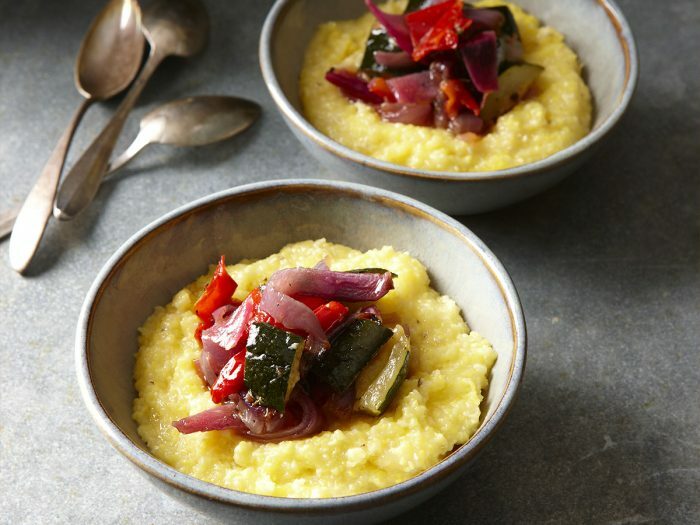 Baked Polenta with Roasted Marinated VegetablesYes, polenta is traditionally made through tireless stirring on the stovetop. But it also can be produced in the oven, without almost any stirring. This baked polenta with roasted marinated vegetables makes for a light main course. Serve with a green salad. 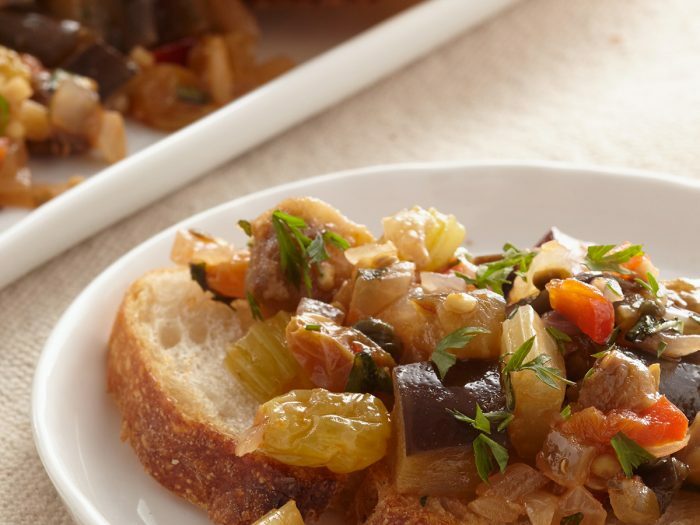 Sautéed Eggplant CarbonataThe vegetables in this sweet-and-sour sautéed eggplant caponata are cooked together until soft and tender, so their flavors meld and intensify. The eggplant takes the longest to cook, so sauté it first and then combine it at the end of cooking with the browned aromatics. Serve warm, atop crostini or with grilled meats or fish.